The "Context" section contains certain background data that is collected by the system. 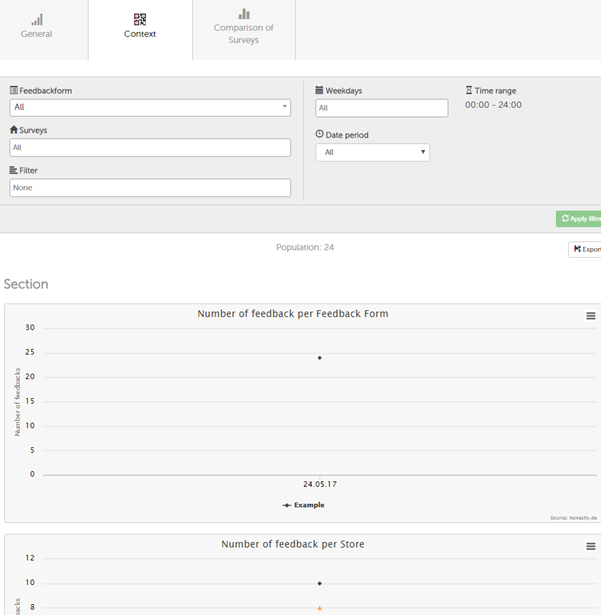 For instance, this shows the number of feedback given per day, the number of feedback per survey, how much feedback was cancelled, and provides a general overview of the quality of your questions (and other data). You can also use filter settings if you want to view specific data.